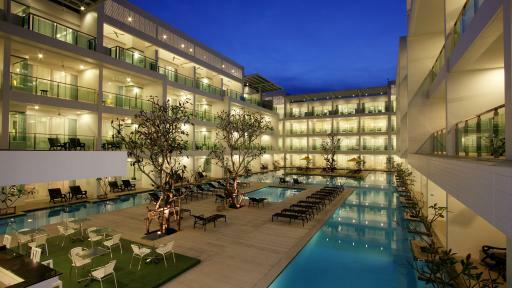 Andaman Seaview Hotel is located a short stroll away from Karon Beach. 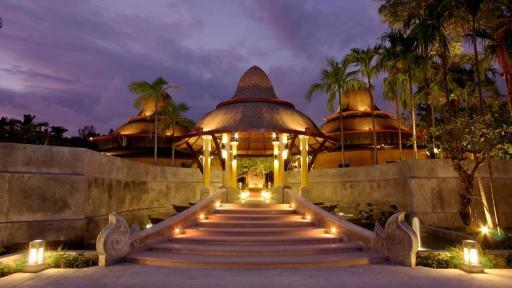 Great for families and couples the resort is casual and relaxed with a selection of very spacious and modern rooms available. Overlooking the Andaman Sea or resort pools guests are perfectly positioned to discover the region, local shops and restaurant and entertainment district. Renowned as some of Karon Beach's best value accommodation, Best Western Phuket Ocean Resort is just minutes from all of your holiday needs! 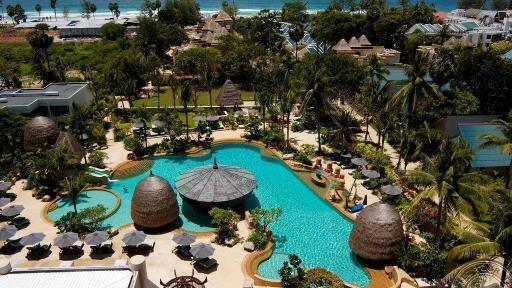 Conveniently located close to shopping, dining, entertainment and transport, the resort is shaded by swaying palms on a lush hillside and overlooks beautiful Karon Beach and the Karon Lagoon. Set directly on the beachfront of the southern end of Karon Beach, Beyond Resort Karon is surrounded by coconut palms and offers a peaceful and relaxed atmosphere. Offering the best of both worlds, this private oasis retreat is also conveniently located close to the shopping, dining and entertainment precincts of Kata and Karon. 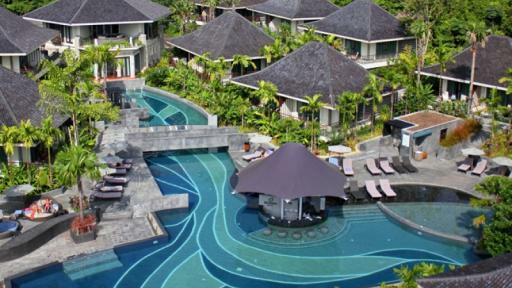 This couples only Phuket resort is the perfect place a memorable honeymoon. Enjoy peace and quiet with the relaxed pace of Centara Grand Beach Resort Phuket perfectly complemented by its secluded location bordering Karon Beach. 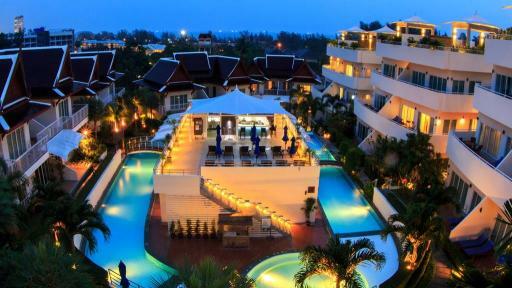 Ideally situated close to Phuket, Patong Beach and the International Airport, the resort is within walking distance of many shopping, dining and entertainment options. 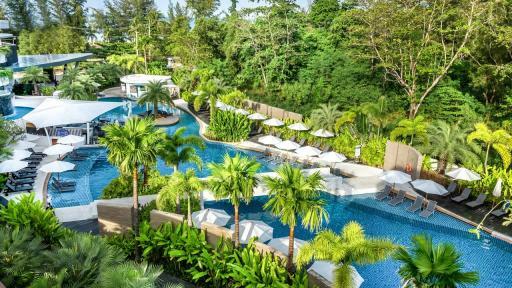 Just 3 minutes from the beach in Karon, Centara Karon Resort Phuket is surrounded by lush tropical landscape and enjoys a relaxed atmosphere. Conveniently located 45 minutes from the Phuket International Airport and a range of holiday activities,the Phuket accommodation is close to all of your shopping, dining and entertainment needs. 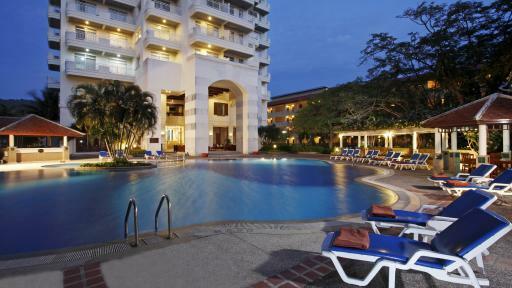 Centara Karon Resort Phuket is very popular with families who take advantage of the kids club, swimming pools and day spa. Located on a scenic hillside overlooking the Andaman Sea, Centara Villas Phuket offers beautiful accommodation just minutes from Karon Beach. The resort is conveniently located and offers easy access to the region's shopping, dining and entertainment hub along a picturesque coastal pathway. Enjoy the levels of luxury that are so closely associated with the Hilton name at the Hilton Phuket Arcadia Resort & Spa. Ideally located only 45 minutes from the International Airport, the luxurious accommodation is within walking distance of Karon Beach. Enjoy quality and service like no other in the relaxed atmosphere of the Hilton Phuket. Set on a gently sloping incline, Horizon Karon Beach Resort and Spa is located to Karon's south, just a few metres from the beautiful beach. Surrounded by lush tropical gardens, the resort offers spectacular views of Karon Beach's beautiful blue waters and pristine sand as well as an excellent range of onsite facilities making it popular accommodation choice. Situated high on Naka mountain, Karon Phunaka Resort overlooks the beautiful Andaman Sea and is only 45 minutes from Phuket International Airport. Offering modern accommodation with distinct Thai influences, the resort is close to Karon Beach and all its attractions but enjoys peace and quiet away from the bustle of the main tourist hub. 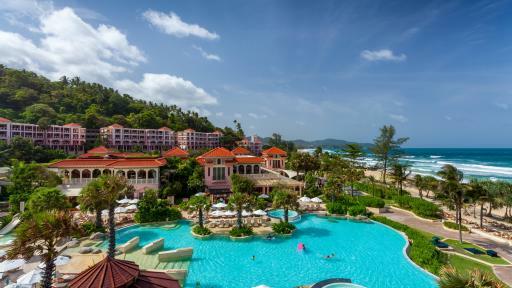 Secluded in a scenic cove on Phuket's west coast, Le Meridien Phuket Beach Resort offers island accommodation surrounded by 40 acres of private tropical gardens. 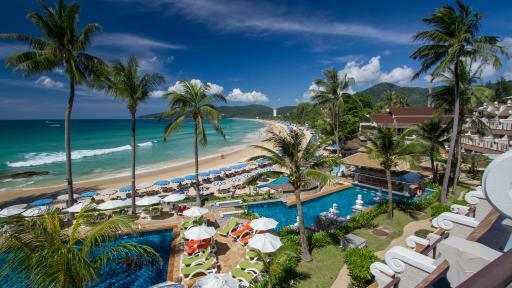 With the soft white sand and calm clear waters of the Andaman Sea just footsteps from your door, it's easy to see why the Le Meridien Phuket Beach Resort is such a popular accommodation choice. 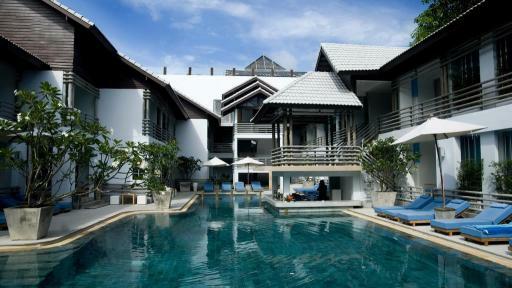 This 5-star Phuket accommodation offers an amazing location for a memorable couples escape or honeymoon. 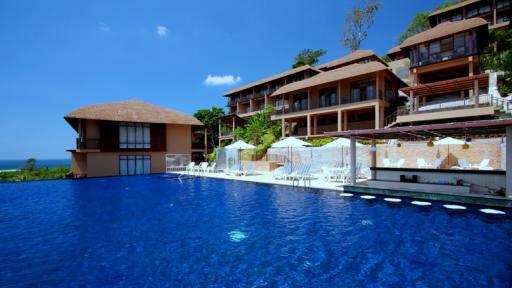 Located a mere 5 minute walk from the popular Karon Beach, Mandarava Resort & Spa Karon Beach offers five swimming pools, a day spa, restaurant and bar, free WiFi, and a selection of activities for guests to participate in. Accommodation at Movenpick Resort & Spa Karon Beach Phuket is set on the secluded Karon Beach in Phuket and has a wide range of well appointment rooms all boasting sea or garden views. 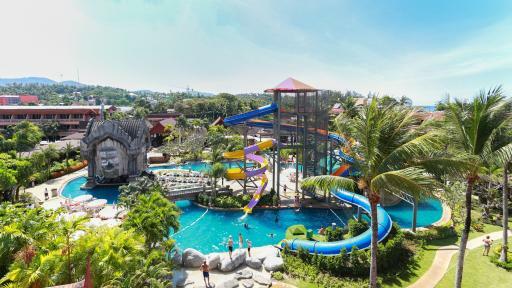 This Swiss inspired resort is well known for its first class service and traditions, featuring 4 swimming pools located around the resort, a world class dining and a magnificent Play Zone for children and teenagers. This popular Phuket accommodation has everything for everyone, all just a short walk from the famous Karon Beach. 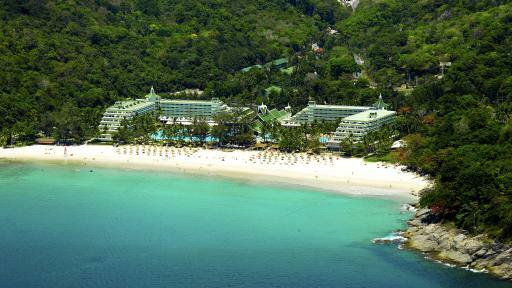 With a range of rooms and suites for couples and families, along with fantastic resort facilities including restaurants, bars, day spa, fitness centre, kids club, kids water slide and numerous swimming pools, Novotel Phuket Karon Beach Resort & Spa is the perfect destination for your next Thailand holiday. 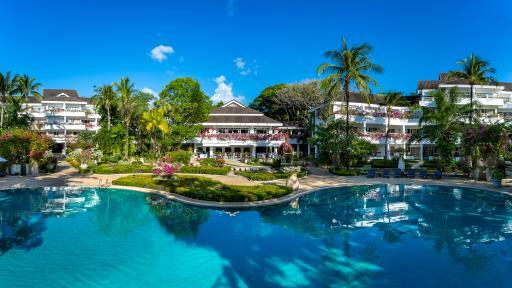 Surrounded by a scenic panorama of lush green gardens, Phuket Orchid Resort & Spa is located within walking distance of beautiful Karon Beach and is just 45 minutes from Phuket's International Airport. The popular accommodation also features private balconies and enjoys stunning mountain views. Facilities include a lagoon swimming pool, waterslide, a number of bars and restaurants, shopping arcade, kids club and day spa. Set on the hillside of Karon and overlooking Karon Beach, the Phunawa Resort is ideal for couples or families after new and modern accommodation. The suites are large featuring kitchenette facilities some with views out to Karon Beach. This Phuket accommodation is a kilometre from Karon Beach and offers easy access to the nearby restaurants, shops, markets and attractions. Offering superior quality, comfort and convenience, Ramada by Wyndham Phuket Southsea's boutique accommodation is renowned for its excellent affordability and value for money. Located opposite Karon Beach, the resort is just 15 minutes from Patong Beach and is within walking distance of all the shopping, dining and entertainment of the plaza area. Ideally located on the beachfront of Karon Beach in Phuket, Thailand, Thavorn Palm Beach Resort offers the perfect location for a memorable family holiday or romantic couples escape. 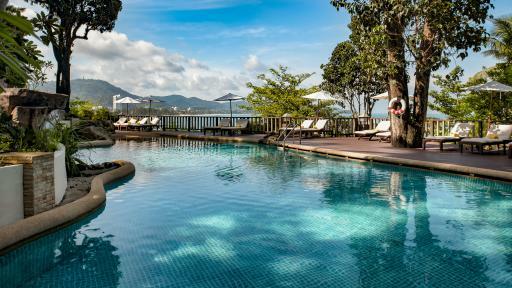 On site facilities at this Phuket resort includes restaurants and bars, 5 swimming pools, exercise room, free WiFi Internet, kids club plus much more. 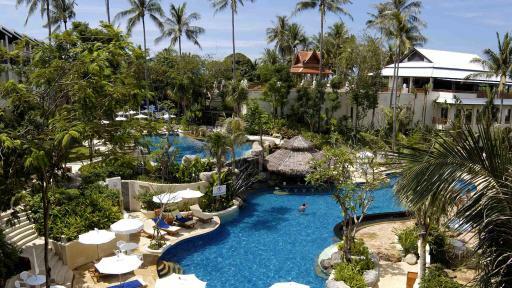 With 198 rooms to choose from there is something for everyone at Thavorn Palm Beach Resort. 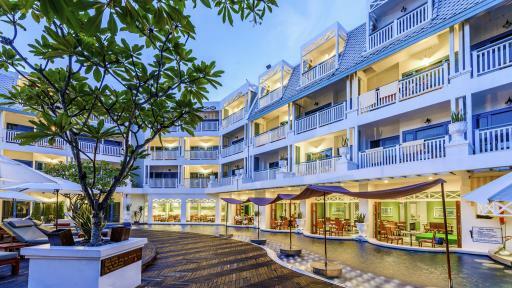 The Old Phuket Karon Beach Resort features an amazing blend of old and new with its Sino-Portuguese architecture alongside modern decor and amenities. This Phuket accommodation is comfortable, affordable accommodation in the heart of Phuket`s shopping and dining district, all within a short walk from beautiful Karon Beach. Couples and families alike will find a room to suite from jacuzzi rooms to family rooms. 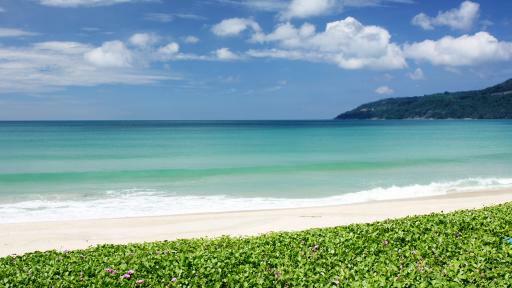 The Old Phuket Karon Beach Resort is an ideal destination for your next Thailand holiday. Offering luxury boutique accommodation, The Village Resort and Spa enjoys an ideal location right in the heart of Karon less than an hour from Phuket's International Airport, just a quick taxi ride from Patong and only minutes from beautiful Karon Beach offering luxury and convenience at its best. Offering absolute beachfront accommodation, Waterfront Suites Phuket by Centara is a stylish resort conveniently located just 10 minutes from Patong. Enjoying spectacular views of the Andaman Sea, the resort is only a 40 minute drive from Phuket's International Airport making it an ideal holiday accommodation option.